The US manufacturer FLIR has expanded its line of FB-Series thermal cameras to include the first models with 640 x 480 resolutions. Originally launched in early 2018 with a resolution of 320 x 240, the FB-Series now has a broader range of resolution and lens options. Described as a compact, fixed bullet camera line that offers wide-to-narrow coverage for commercial and industrial sites, the products can reduce the number of cameras required to monitor fence lines, perimeters and open areas, the makers say. 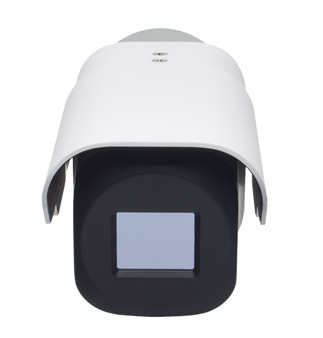 The FB-Series produces thermal video in conditions including total darkness, sun glare, smoke, dust, and light fog, it's claimed. The cameras come with built-in analytics (FB-Series ID) or without analytics (FB-Series O). Analytics enable classification of human and vehicles, while dismissing innocuous targets that might otherwise trigger alarms. The series also offers "plug-and-play" compatibility with major video management software, including FLIR United VMS-using hybrid, IP and analogue outputs.